Approximate reading time: 21 min. 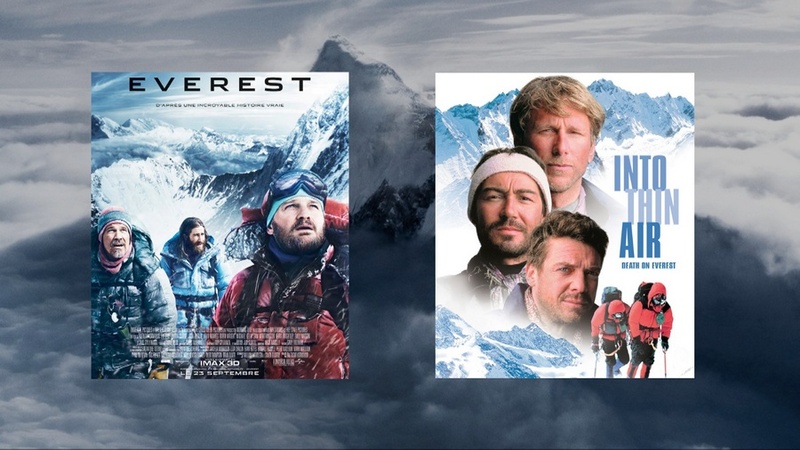 In this article the author observes an untypical for “What is Good” project genre of an adventure movie based on a true story on an example of two films: “Into Thin Air”, 1997 and “Everest”, 2015. The movies describe one of the most dramatic climbs on the Mount Everest in May 1996, which ended up with decimation of alpinists on the decline of Chomolungma; over the entire season 15 people died trying to reach the summit, making it one the deadliest years on the Mount Everest. Heads of two expeditions, experienced climbers and guides Rob Hall (“Adventure Consultants”) and Scott Fischer (“Mountain Madness”) decided to get together during the climb on the Mount Everest, however had made numerous of mistakes. Clients reached the summit of the mountain with a great delay, and during the descent they ran out of oxygen as the severe storm approached. It lasted for two days, during which died the heads of both expeditions Rob Hall and Scott Fischer, guide Andy Harris, and also two clients of the “Adventure Consultants”. One of the clients of the “Adventure Consultants” Beck Weathers had been left on the Mount Everest twice, since his companions considered him frozen up to death, but he had a miraculous escape and further came through several amputations. 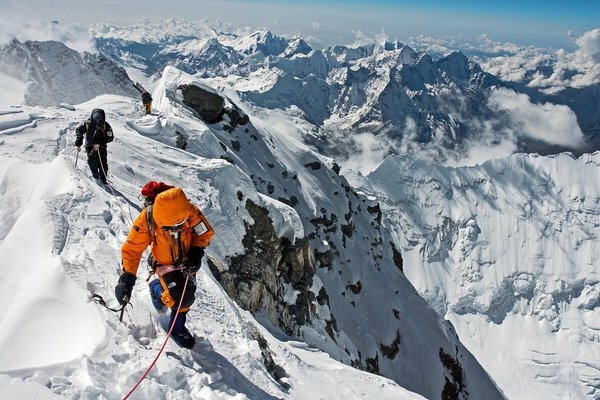 The disaster was caused by an unsatisfactory preparation of the two expeditions, lack of experience of some members of the expeditions, a row of tactical mistakes, made by the heads, a bottleneck at the Balcony and Hillary Step during the climb and bad weather conditions. Not everybody carefully followed the “acclimatization schedule”. It emerged later that Scott Fischer (the head of the “Mountain Madness”, assumingly died of brain edema) took 125 mg of Diamox (azetazolamine) daily to quicken acclimatization. 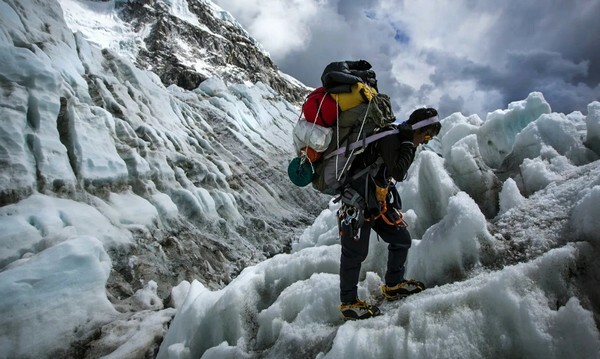 The disaster had been caused by an unsatisfactory preparation of the two expeditions, lack of experience of some members of the expeditions, a row of tactical mistakes, made by the heads, a bottleneck at the Balcony and Hillary Step during the climb and bad weather conditions. Not everybody carefully followed the “acclimatization schedule”. It emerged later that Scott Fischer (the head of the “Mountain Madness”, assumingly died of brain edema) took 125 mg of Diamox (azetazolamine) daily to quicken acclimatization. 9th May Chen Yu-Nan from the Taiwanese National Expedition died after a fall down the Lhotse Face because he did not put crampons on his boots. During the “Mountain Madness” expedition preparation there had been bought too little amount of oxygen dispensing equipment. One may consider as another omission the fact, that Scott Fisher bought for the expedition old-fashioned ten-channel radio sets. Moreover, during the final summit climb guides did not have radio sets, as a result they could not connect neither with one of the camps, nor with standing behind Fisher. The 1996 disaster gained wide publicity and raised questions about the commercialization of Everest. First commercial expeditions on Everest had started to be organized in the beginning of the 1990-es. Guides-porters appeared. Their service package consisted of: delivery members of expeditions to the Base camp (on the south side of Everest 5364 m), organization of the route and intermediate camps, accompaniment of a client and his/her backup on the whole way up and down. At that, no one guaranteed summit ascent (8848 m). In chase of profit some guides took clients, which were unable to vault to the top at all. Famous New Zealand mountaineer Edmund Hillary, who together with Nepalese Sherpa mountaineer Tenzing Norgay became the first climber confirmed to have reached the summit of Mount Everest (29th May 1953), had an extremely negative opinion towards commercial expeditions. According to him, Everest’s commercialization “offended mountains’ dignity”. “Everest”, 1998 — an American documentary narrated by Irish actor Liam Neeson. “Into the Death Zone”, 2012 — an American documentary from the cycle “Seconds From Disaster” (6 season, 5 episode). “Into Thin Air: Death on Everest”, 1997 — an American feature film directed by Robert Markowitz. “Everest”, 2015 — directed and produced by Baltasar Kormákur. Starring — Jake Gyllenhaal, Keira Knightley, Jason Clarke, Robin Wright and Josh Brolin. The film’s world premiere took place on 2 September 2015 at the 72nd Venice International Film Festival. At the root of both films lies a real story, happened in the Himalayas in May 1996. Back then two at a time commercial expeditions, which consisted of both experienced alpinists and tourists, who had no experience of conquering eight thousander peaks, had been making a climb on the highest mountain in the world. However, during the descent several clients found themselves in a severe storm, in which 5 people died. Filmed after the book “Into Thin Air” of miraculously survived American writer, journalist and mountaineer Jon Krakauer, who became the member of the expedition to Everest in May 1996 by order of “Outside” magazine (New Zeeland company “Adventure Consultants” with Rob Hall at the head. The film, despite of the picture of 1997 is based not on Krakauer’s book, but on interviews with the survived members of the expedition, and is more objective. In his book Jon Krakauer condemns Everest’s commercialization, and also mentions facts of death of Indo-Tibetan Border Police expedition, which climbed the same day from the Tibet side. Everest’s commercialization is also condemned. The clients of the 1996 expedition paid 65 000 $ (for you to understand the sum, we’re talking about). As one of the guilty in the tragedy Jon Krakauer considered Russian guide Anatoli Boukreev, who descended from the summit several hours ahead of his clients (he ascended the summit without supplemental oxygen and, according to the journalist, was underclad). In the film Anatoli is presented as irresponsible, sheepish and self-sufficing. From the beginning of the film biased attitude towards the Russian mountaineer becomes obvious. Scott Fisher tells him, that he is not going to work with him anymore, since Anatoli “didn’t seem to be in their clients’ best interest”. In another words, Fisher accuses Boukreev in unprofessionalism. Note, that practically the same phrase that a client should realistically evaluate his/her own powers, and that nobody is going to slop him/her on the mountain, in 1997 film belongs to Anatoli, whereas in 2015 film – to Scott Fisher. In 1997 Anatoli Boukreev in coauthorship with writer Gary Weston DeWalt wrote a book “The Climb: Tragic Ambitions on Everest”, where he introduced his opinion about total unpreparedness of the both expeditions and desperation of their died heads, who took poorly prepared and already aged people, little suitable for alpinism to the mountains for big money (here Krakauer and Boukreev agreed with each other). Anatoli had also answered on Krakauer’s accusations: he was well dressed and had not used oxygen in order not to die in the mountains from weakness in case it runs out (he did not use oxygen in the majority of his ascensions), what exactly had happened with the rest of the members on the two expeditions; he descended to the camp by order of Scott Fisher, the head of the expedition, to take oxygen supply and to meet the descending clients halfway. The book of Jon Krakauer reached the first place on The New York Times non-fiction bestseller list, was honored as “Book of the Year” by “Time” magazine and was among the final three books considered for the General Non-Fiction Pulitzer Prize. In 2016 the book was reprinted in Russian language. A scene of rescuing the alpinists by Anatoli Boukreev is presented in the film. It should be noted, that Krakauer’s view point on the tragedy has been negatively perceived by the world’s professional society, since all Boukreev’s clients survived, whereas fundamental losses carried Jon Krakauer’s group. Therefore, the film 1997 was ambiguously perceived by the public. An American mountaineer and writer Galen Rowell described Boukreev’s rescue efforts in the “Wall Street Journal” as: “One of the most amazing rescues in mountaineering history performed single-handedly a few hours after climbing Everest without oxygen”. In his article Rowell called the operation for rescuing three alpinists “unique”. This wasn’t mere luck – but a real heroic deed. Jon Krakauer mentioned in his books “Into the Wild» and “Into Thin Air “ smoking marijuana. In spring 1997 Anatoli Boukreev came back to the Everest as a lead guide for Indonesian military expedition. He left a flag on the summit, which Scott Fisher’s wife and children gave him. And then during the descent buried Fisher’s and Yasuko Namba’s bodies under stones and snow, left as identification marks found on the root picks. The actor, portraying Anatoli in the film, does not look like him in person at all, despite the rest of the cast. The actor, portraying Scott Fisher in the film, does not look like him in person at all, despite the rest of the cast. Perhaps, this has been done on purpose, to shift the emphasis from Boukreev to Fisher, as one of the guilty in the tragedy. The film – is neither more nor less an attempt to besmirch Russia and Russians in the name of high-altitude mountaineer, guide, photographer and writer Anatoli Boukreev, a handle to name “Snow leopard” (1985), a Merited Master of Sport of the USSR (1989). He made ascents of 10 of the 14 eight-thousander peaks without supplemental oxygen (18 successful ascents of peaks above 8000 m), became the holder of an order “For personal courage” (1989), Kazakh medal “For courage” (1998, posthumously). In 1997 Anatoli Boukreev was awarded the David A. Sowles Memorial Award by the American Alpine Club. The award recognizes people “who have distinguished themselves, with unselfish devotion at personal risk or sacrifice of a major objective, in going to the assistance of fellow climbers imperiled in the mountains”. Anatoli Boukreev is exonerated in the eyes of world community of TV-viewers in the film, and the responsibility for an unfortunate outcome of the both expeditions is fairly put on their heads, who had showed irresponsibility in chase of future profit, doing their clients, who trusted them their health and lives, bidding. The second edition of “The Climb” book of Anatoli is coincided with the film’s release. Therefore, having analyzed these two pictures, based on real life events, at that radically different from each other in questions of objectiveness and propaganda, the author prefers the film “Everest” 2015. The majority tends to consider old films more qualitative (and normally this is fare in sight of ever-greater inclination of modern cinematograph in strictly entertaining triviality), however, as for the analyzed above two pictures, we see an exception from this rule. The author calls to analyze such, let’s say near documentaries, and not to be tricked by propagandists, or to watch documentary pictures, which frequently closer to the truth. Mount Everest, being the highest mountain on Earth, attracts great attention of climbers; the summit is being approached regularly. The ascent of the top lasts for about 2 months – with acclimatization and camps arrangement. Counties, on which territory with summit approaches are located (Nepal, China), take big money for the summit ascent (the permit to enter the Everest area from the south via Nepal costs US$10,000 to US$25,000 per person, depending on the size of the team). Also one has to pay for the opportunity for the ascent. The priority for expeditions’ ascent is being settled. A large part of ascensions is being organized by specialized companies and takes place as a part of commercial groups. These firms’ clients pay guides for their services: to conduct the necessary training, to provide equipment, and, as far as practicable, to ensure safety on the whole root. The cost of such a guide service may range from US$40,000–85,000 per person. Everest climbing with the goal of reaching the highest summit of the mountain is characterized with extraordinary difficulty and sometimes ends up with deaths as mountain climbers, so Sherpas-porters, escorting them. The noted difficulty is a subject to especially unfavorable weather conditions of culminant zone due to the great altitude of its location. Among unfavorable for human’s organism climatic factors are: high rarefaction of the atmosphere, and, as result, an extremely low oxygen concentration in it, borderline to the deathful low value; low temperatures till minus 50-60 degrees, which in combination with periodical fast and freezing winds subjectively feels by a human’s organism like minus 100-120 degrees, and is able extremely quickly to lead to the temperature injury; last but not least, an intensive solar radiation on such altitudes. The mentioned peculiarities are being complemented with the “standard” dangers of alpinism, inherent to much less high summits: avalanching, stepping from steep embankments, falling down in chimbleys. From the moment of the first summit ascent (1953) till 2015 on the mountain’s flanks died more than 260 people. Even the most expensive and modern equipment does not guarantee a successful assentation on Chomolungma. Nevertheless, every year about 500 people are trying to conquer Everest. As of December 2016, 7646 alpinists were able to reach the summit, 3177 out of them summited Everest more than one time. The author considers necessary to mention a high extent of involvement of the local citizens – Sherpas – in organization of absolutely all expeditions. Namely they are busy with organization of the base camp, delivery of all the necessary (water, oxygen, supplies, equipment), drawing ropes and ladders. At bottom, without Sherpas’ support, alpinists never could have reached the highest pike of Chomolungma. They are nameless heroes, doing their job for peanuts in comparison to companies-organizations’ profits. It is no secret that namely Sherpas die in The Himalayas the most.